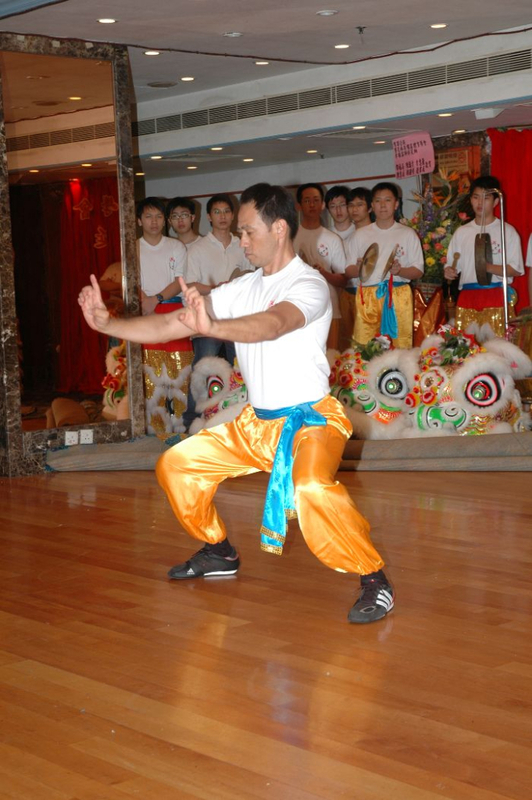 Stance training is an important part of this style as it is the platform from which hand and arm techniques are launched. The foot work in Hung Kuen has been developed over centuries to cater for all types of fighting surfaces from rice paddy fields , ship decks and hard ground. Kicks are limited to hip height and below to reduce the chance of being caught off balance. The style also teaches the student to focus on Chi ( the bodies own inner energy ) for both increased inner health and for use in self defence. As a student progresses through the curriculum the cultivation and use of Chi becomes more important. Another important component of Hung Kuen is the conditioning of the body, particularly the arms and hands. Through appropriate exercises the arms and hands become toughened so that strikes and blocks become particularly devastating when used in self defense.